Brand new homes available for sale at Eclipse at Eastmark. Situated within a 3,200-acre planned community, new homes at Eclipse provide an unmatched living experience with incredible amenities such as a visitor and community center, neighborhood parks, schools, businesses, services plus many more amenities scheduled for development. 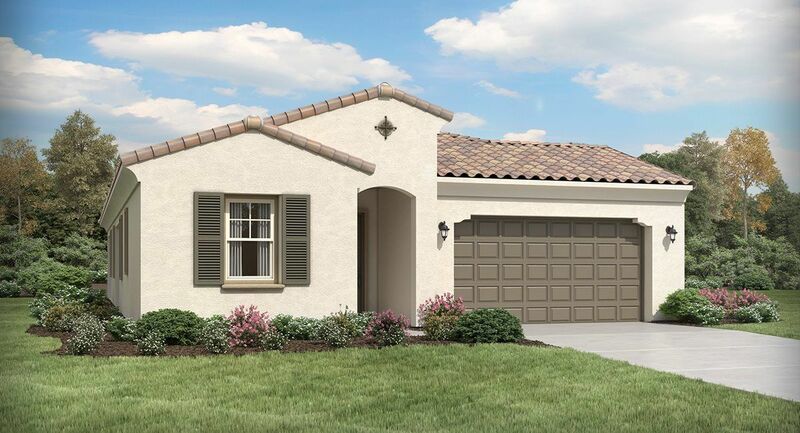 Eclipse offers a distinct collection of five single- and two-story home designs ranging in size from approximately 1,769 to 2,908 square feet of living space including three to four bedrooms, two to three bathrooms and two- to three-bay garages. Homes showcase sophisticated owner’s suites with walk-in closets, spacious secondary bedrooms, open layouts designed for entertaining, outdoor living spaces plus select plans feature flexible spaces and generously-sized lofts. Each new home comes fully outfitted with today’s most popular upgrades and features through Lennar’s signature Everything’s Included® program. Enjoy upgraded and high-quality kitchen cabinetry, luxury countertops, home automation technology, black stainless steel appliances and much more—all at no additional cost. With a wide range of first-rate amenities available, Eastmark is a setting that is ideal for families of every type to set down roots and discover their best life. And for the little ones, Queen Creek Unified School and Gilbert Public School districts both serve Eastmark residents and offer fantastic school options.